"Last night we had a peaceful night's sleep with the creek outside our window"
"Woke up to a delicious breakfast made with fresh local ingredients"
Nestled next to Flat Creek, the Inn on the Creek is renowned for its picturesque setting, friendly service, delicious breakfast and affordable luxury. Casey and Amy Morton, Inn on the Creek’s proprietors, bring their extensive experience in the hospitality industry to this one-of-a-kind Jackson Hole bed and breakfast. Just a quick 4 block walk from our front door, gets you to the Town Square - the center of Jackson’s activities, dining, shopping and nightlife. You are easily able to explore downtown Jackson while also having the benefit of our serene backyard with Flat Creek flowing through. 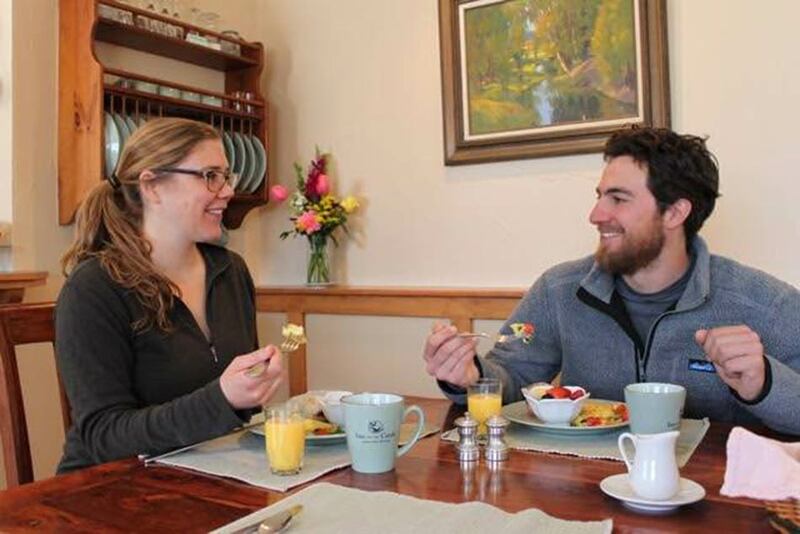 While staying at the Inn, you are conveniently surrounded by two National Parks, Bridger-Teton National Forest and the wild and scenic Snake River. There is no shortage of recreational activities, wildlife or picturesque mountain views in the area. Join us for your next Jackson Hole vacation. These rooms are perfect for a special occasion or for someone looking for the ultimate in a luxurious stay. 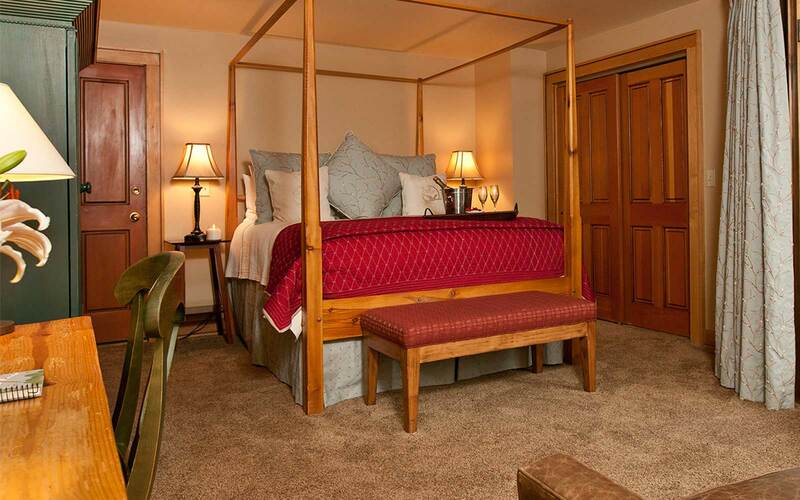 These upscale rooms feature an ensuite Jacuzzi and gas fireplace, and either a king or queen bed with plenty of space to relax. .
Our standard room with a queen bed that is accessed on the back side of the Inn, allowing for quiet seclusion and charming creek views. Rooms feature a sitting area to rest and watch the creek flow by are a guests’ favorite. These unique, one-of-a-kind rooms feature extra amenities with all the luxury of the Inn. 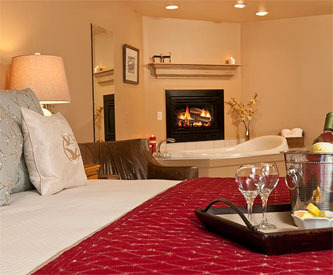 The Swan Master King room is ideal for a couple wanting added luxury with a creekside view. Our Osprey room is perfect for the couple that is looking for a little more room and an efficiency kitchen. The Swan Studio also features the extra space and kitchen, but with a sofa-sleeper can accommodate a family of 4. Thank you for making our stay so enjoyable! Out of all the places we could have stayed, we are so glad we picked the Inn on the Creek. Your hospitality really made us feel welcome. We hope to visit Jackson Hole again and we will definitely book our stay with you. The only feedback we have is “Don’t change a thing” you can’t improve perfection! We are thankful to Inn on the Creek for making our stay in Jackson, to visit our daughter, so special. The room and the Inn were lovely, but it was their hospitality and helpfulness that we appreciated the most. We felt the personal interest that they take in each of their guests. It was wonderful for them to invite our daughter to the delicious morning breakfasts so that we could share that time with her. We will certainly be back, as we feel we have found a “home away from home” in Jackson. It’s a storybook, cozy place! Our experience at the Inn on the Creek over the Christmas holiday and New Year was quintessential! The hospitality, friendliness and warm, tasty breakfasts cannot be beat. It's a storybook, cozy place! We were returning guests and the innkeepers remembered us and details of our previous visits which was very thoughtful and welcoming. Beautiful, tranquil setting on Flat Creek. Perfect location–quiet but close to Jackson Central Square and the heart of Jackson. Family run–Amy, Casey, Hailey are attentive to every detail and treat their guests as family. 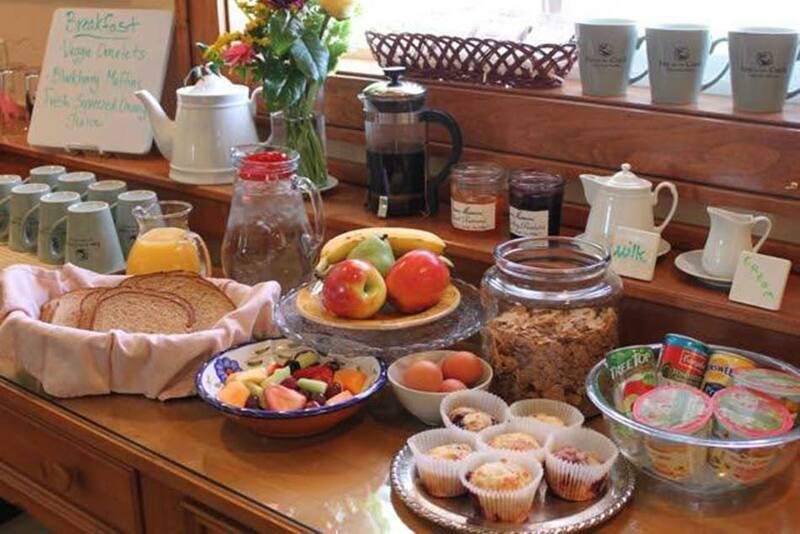 Wonderful homemade breakfasts each day with fresh juice and conversation. We have stayed in three different rooms on different visits–all wonderfully appointed and welcoming. The quality of our experience with the Inn on the Creek has been uniformly excellent across multiple visits.The ‘back yard’ adjacent to Flat Creek is inviting–to read a book, relax with a bottle of wine, or just to enjoy a book in a calm setting. Little details add to the charm–local tips on the daily suggestion board of things to do in Jackson and the surrounding area; attention to special requests (that bottle of wine) add to the welcome. 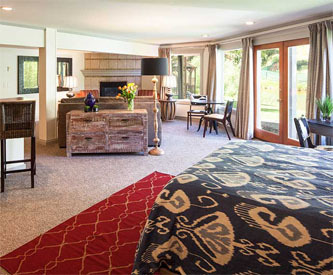 We recommend Inn on the Creek to anyone we talk to who consider Jackson Hole as a destination. Enjoy a delicious, homemade breakfast each morning in our charming dining room with your fellow guests or let us bring you a tray for breakfast in bed. 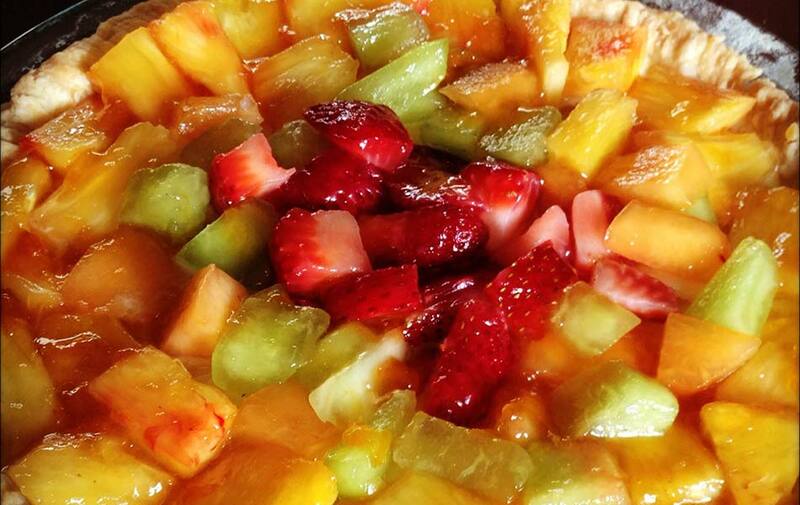 Breakfast selections include a seasonally inspired signature dish along with a deluxe continental breakfast. Amy’s recipes are sure to please everyone with time tested dishes that start your morning off right. 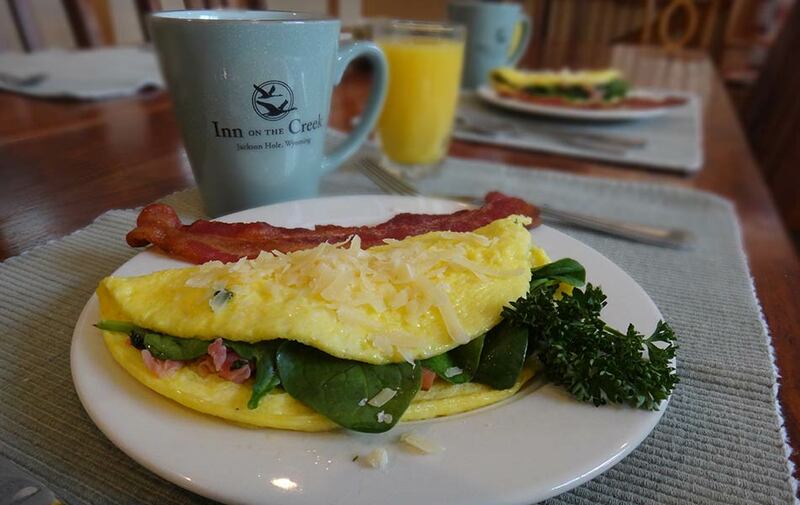 "Breakfast at the Inn, lunch on the mountain. Perfect day." Jackson Hole rugged beauty, mountain scenery and plethora of wildlife is an experience hard to match! 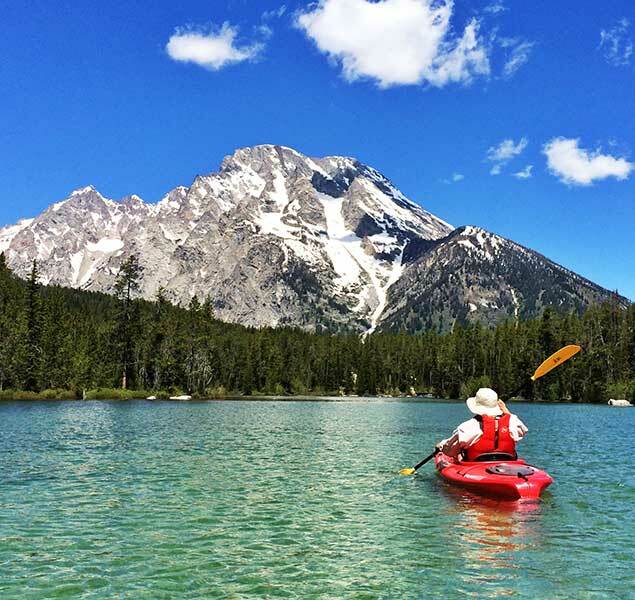 In any season, Jackson Hole and the surrounding area have so much to offer for vacationers. TO RECEIVE THE LOWEST RATE ONLINE.